With Valentine’s Day just around the corner and love in the air, here’s our list of 5 romantic things to do in Malaga. We’ve picked the best venues and activities to ensure your Valentine’s Day in Malaga has all the right ingredients for an impossibly romantic break. Top of the list of romantic things to do in Malaga has to be a gift. How about? Flowers – if you’re looking for a red rose (or 12), make your way to 1 of the florists near Calle Larios. If you’re looking for something floral that’s a little bit different, pop along to Flor Zen at no 24 Calle Beatas. 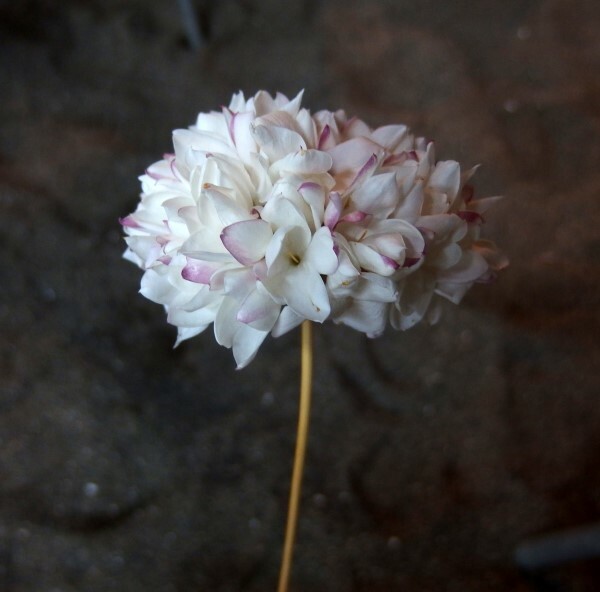 Jewelry – diamonds are always a girl’s best friend but if your budget doesn’t stretch quite that far, what about a typical biznaga (jasmine flower) from Malaga? Choose from brooches, pendants, earrings. Try Hago on Calle Santa Lucía. Unusual gifts – try the shops around the Carmen Thyssen Museum, those in Calle Andrés Pérez or Agua on Calle San Juan for that unusual Valentine gift. Gibralfaro viewing point – help each other climb the steep slope to reach this platform almost at the top of the Gibralfaro Castle hill. 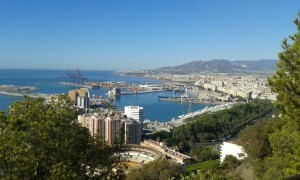 Your efforts will be rewarded with panoramic views of Malaga city, the Mediterranean and the Costa del Sol to the west. Ferris wheel – no effort required with this one. Just jump on and enjoy amazing views of Malaga as the ferris wheel makes its slow way round. If there aren’t too many people and you ask nicely and you could get a cabin to yourselves. Muelle Uno – totally flat so again zero effort. Make your way to end of Muelle Uno and take in the views of the city behind you. By the beach – by mid-February the weather in Malaga is usually warm enough for the beach. It might not be quite warm enough for a dip in the Med, but there’ll be enough sunshine to relax on the beach. Beach clubs Amitabha at the west end of La Misericordia beach both have sunbeds and live music at weekends. La Chancla Hotel in Pedregalejo (east side of Malaga beaches) have sunbeds too. At a Hammam – for a spa-like experience in authentic Moorish surroundings, book a session at Hammam Al Andalus on Plaza de los Mártires. Make it extra romantic and treat yourselves to a massage too – surely Valentine’s Day doesn’t get much better? For a Hammam without the pools, try a steam and Turkish bath at Hammam Open Space & Spa. Funky urban vibe in the heart of Soho where food could easily claim a Michelin star. Book a table for 2 and enjoy the tasting menu – 8 dishes plus 2 desserts for €45 (€60 if you go for the wine pairing option) or go à la carte. You won’t be disappointed either way and love foods (think oysters and chocolate) feature on the menu. Elegant dining where the hallmarks are excellent service, excellent food – most dishes are great sharing plates – and a long list of wines that you can pair. 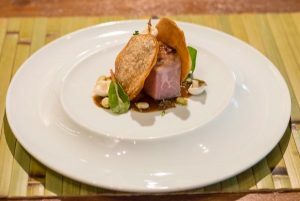 Eboka has a special Valentine’s menu – 4-course pairing menu for €35 per person. If you book your romantic meal for 2 between 9 and 17 February, you enter the draw for a bottle of cava plus glasses and cookies. Book your table online here or call 952 124 671. Book your Valentine’s dinner well in advance – it’s one of the busiest nights of the year! Refectorium del Campanario – out of town (take a taxi) to the east but well worth the taxi fare to enjoy a romantic view while you look out over Malaga. El Ambigu de la Coracha – at the top of the stairs next to the MUPAM museum underneath the Gibralfaro, this airy restaurant has panoramic views of the city and port. Eclectic menu with Spanish and international touches plus complimentary olive oil tasting and glass of Malaga sweet wine. Views are best seen at lunchtime. 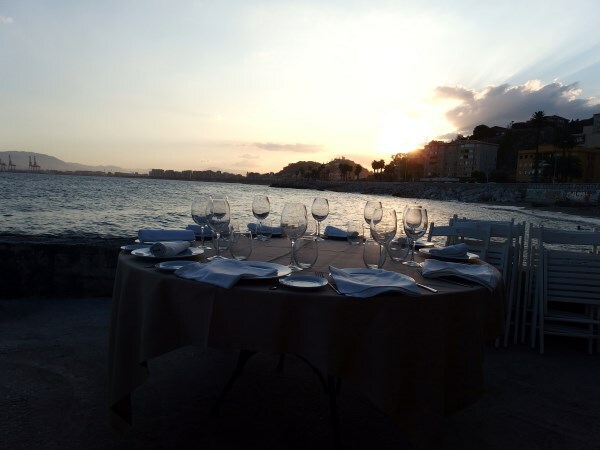 El Parador de Malaga – fine dining with even finer views are given at this restaurant at the Parador Hotel. Book in advance to be sure of a table next to the window or if it’s mild enough, book a terrace table. El Balneario – enjoy an early dinner (or very late lunch) and watch the sun set over Malaga as the sea laps at your feet. Los Baños del Carmen has an olde-worlde air about it and is guaranteed to put a touch of romance in the air. AC Palacio rooftop terrace – 15 floors up with possibly the best rooftop views of Malaga and a good choice of cocktails. Make it a sundowner for romantic contemplation of the sunset. Batik Restaurant – on the top floor of Alcazaba Premium Hostel, this rooftop terrace has great views of the Alcazaba Fortress and a good soundtrack. Baños del Carmen – on the east side of town (the No 3 bus (N1 at night) handily stops here), these historic baths are now a bar/restaurant. 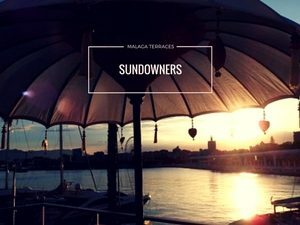 Get a seafront table and watch the sunset over Malaga as you sip your cocktail. Room Mate Valeria – on the top floor of Room Mate Valeria, one of the newest hotels in restaurants and with a lovely rooftop terrace. Enjoy views of Malaga Port, the Pergola and Plaza de la Marina as you enjoy a romantic drink together. Read more suggestions for great roof terraces in Malaga.